Not familiar with this ingredient? Look for them wherever your grocery store has dried fruit, or in the produce section. They are naturally sweet and so are used in a lot of recipes when trying to lessen sugar. If you don’t have a food processor, no worries! A high-speed blender also works. 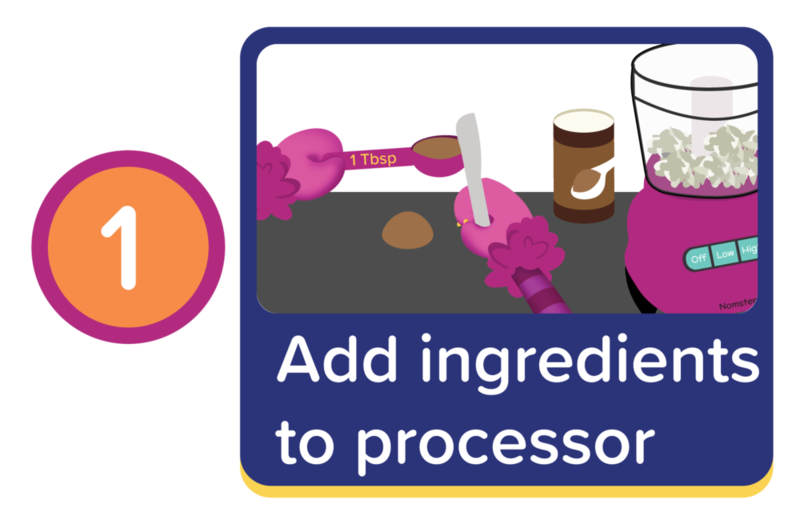 (If you have a processor, it does help the ingredients combine a bit better.) *Note: a standard blender might have a hard time blending the sticky dates. How to clean a food processor or blender: Add water and dish soap, then turn the machine on. This makes it a lot easier to clean! The candy canes are completely optional. If you’re not making this recipe around the holidays and don’t need this festive touch, feel free to skip. The date balls are still tasty without them. Or, you can roll the balls in the leftover coconut flakes you purchased for this recipe! We recommend keeping these balls refrigerated to prolong their shelf life and also because they stick together better when cold. **Dairy-Free if cocoa powder does not contain dairy. Check the label.